While some of our guests were taking in a beautiful sunset and a 360-degree view of the picturesque Majete Wildlife Reserve at the aptly named View Spot, our guide Mali spotted a pangolin next to the rocks. 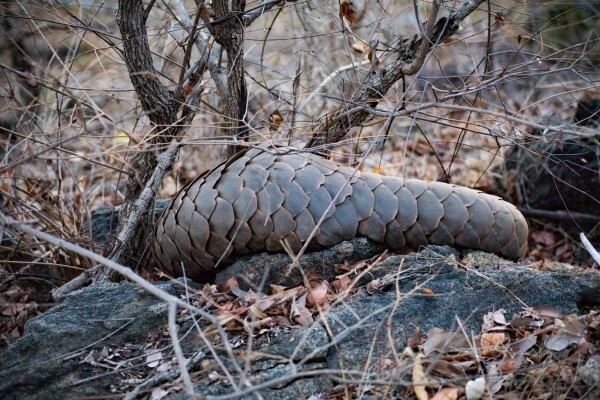 Yes, you read right…a Pangolin! There it lay and lingered for all to see. Needless to say that both the ‘view’ and the ‘sighting’ thrilled the guests. On another occasion, while cruising along the river during a boat safari in the distance there was an unusual bird call. 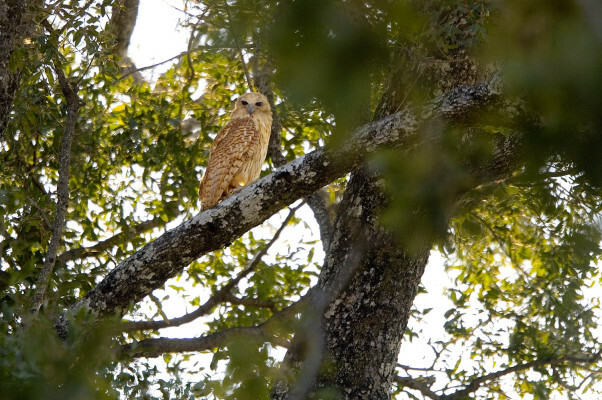 Arriving at a sandy island, Dave and the guests disembarked from the boat and took a short walk to find a rare bird that Dave recognized by the call… and sure enough, there it was, a Pel’s fishing owl, perched on a branch in a sausage tree! Not long after the great sighting of the Pel’s, during a game drive around Nyala Loop, two leopards were caught unaware with their kill (an unfortunate waterbuck) in plain sight. The two had been returning from a drink of water on the river’s edge and quickly hid behind a rocky outcrop when they saw the vehicle. As the Land Cruiser approached, the two sprung off in a flash however once again our intern Felix had his camera at the ready and was able to take a few snaps. So we’ve had a pangolin, a Pel’s fishing owl and a pair of leopards…can it get any better than this? Well yes, it did! 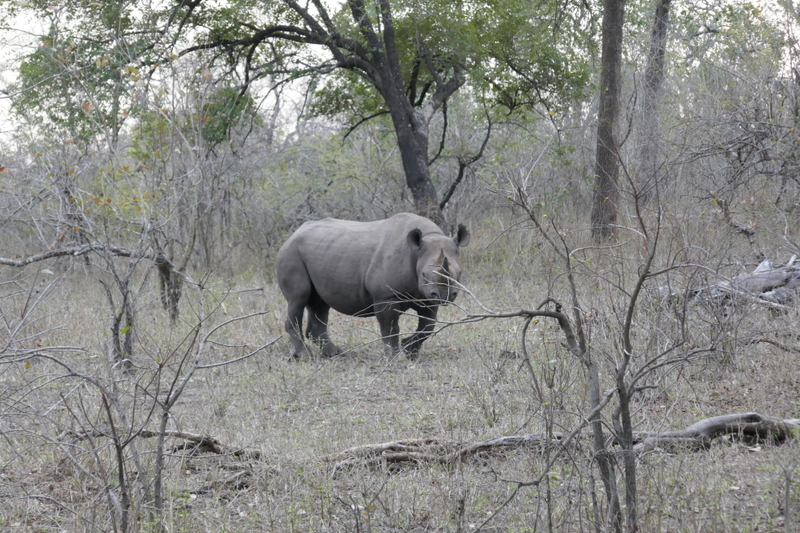 Guests were treated to an excellent rhino sighting while ambling down Rhino Road (how appropriately named!). 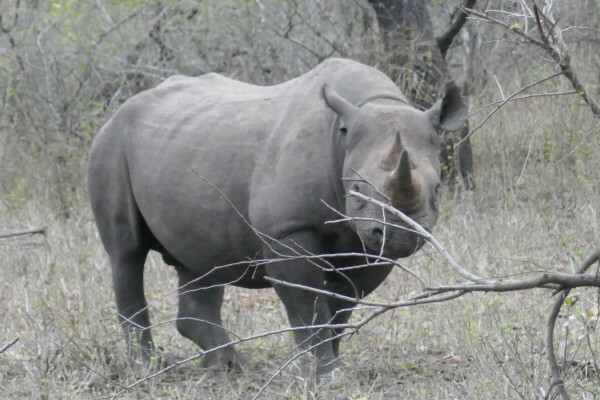 Thanks to our guest Erik Ju who got some superb images of a very grand looking rhino. We do not often get such lovely rhino sightings but when we do, we are reminded of just how special they are and the importance of protecting them.